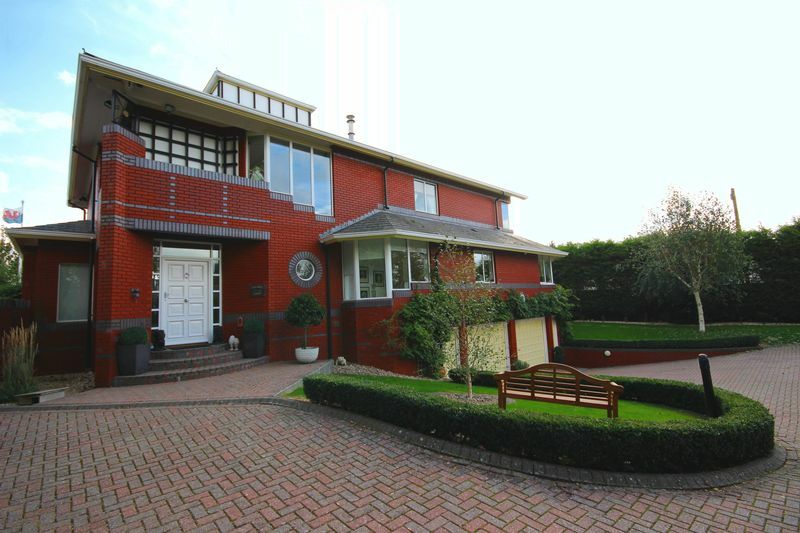 Built in 1988 and designed by Gordon Jones an eminent architect of his time, Penarth House is a most prestigious family residence located on Cliff Parade which offers stunning views overlooking the Bristol Channel and beyond. 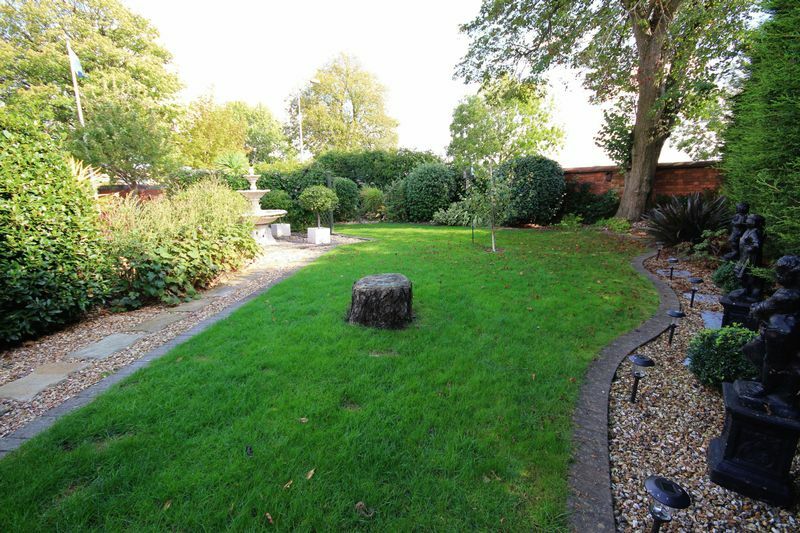 Comprising of four good size bedrooms and three reception rooms the property offers modern & versatile living in an idyllic location. 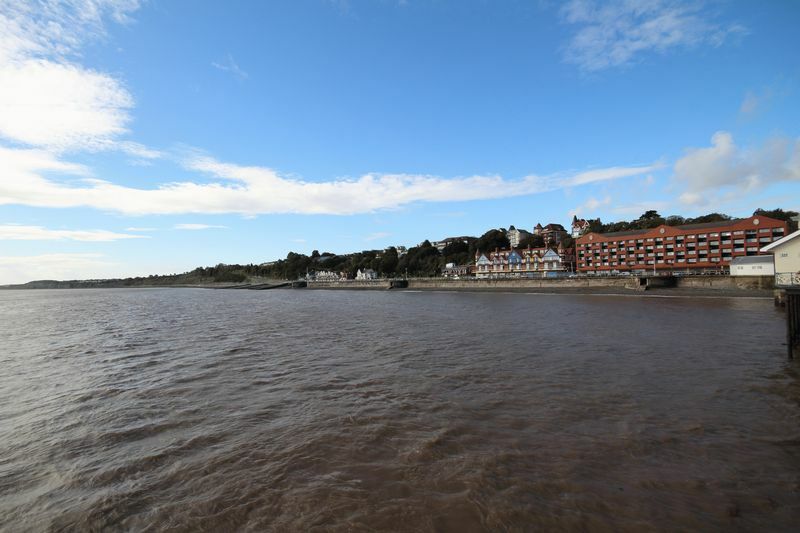 Penarth House is located high on the Cliff Top of Cliff Parade which overlooks the Bristol Channel and is a short walk from Penarth which is full of charm and character with its wide choice of boutiques, shops, cafe's and restaurants. 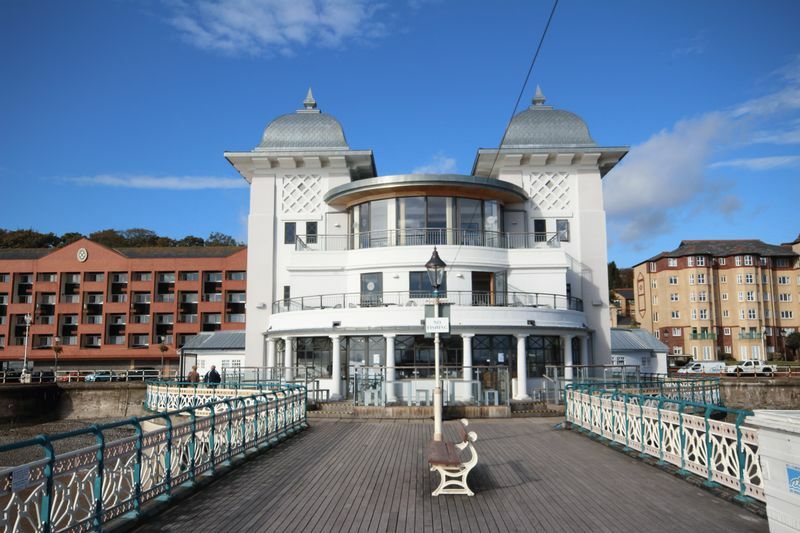 The area has numerous walks and places of interest such as Penarth Esplanade and the Pier & Pavilion. The property is entered via a solid wooden front door with glazed panels to either side. Limestone tiled flooring, double glazed window to side. A set of French doors open revealing the entrance hallway. 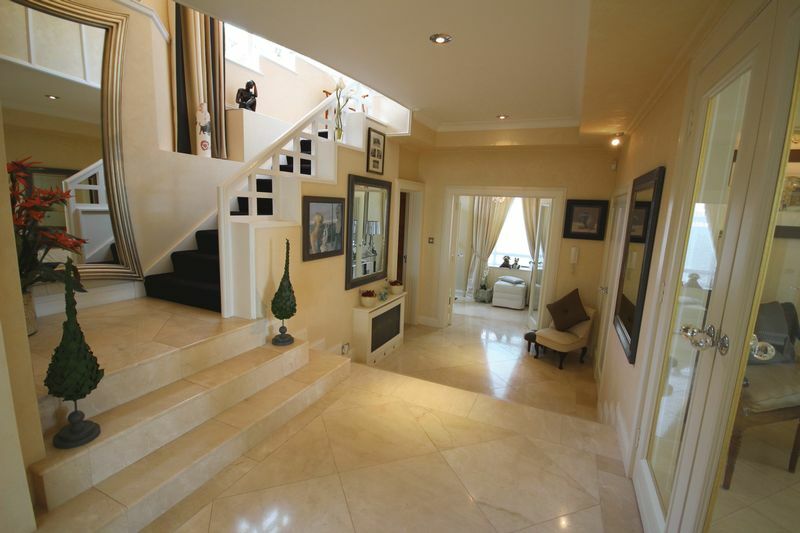 A grand entrance featuring Limestone flooring with underfloor heating. 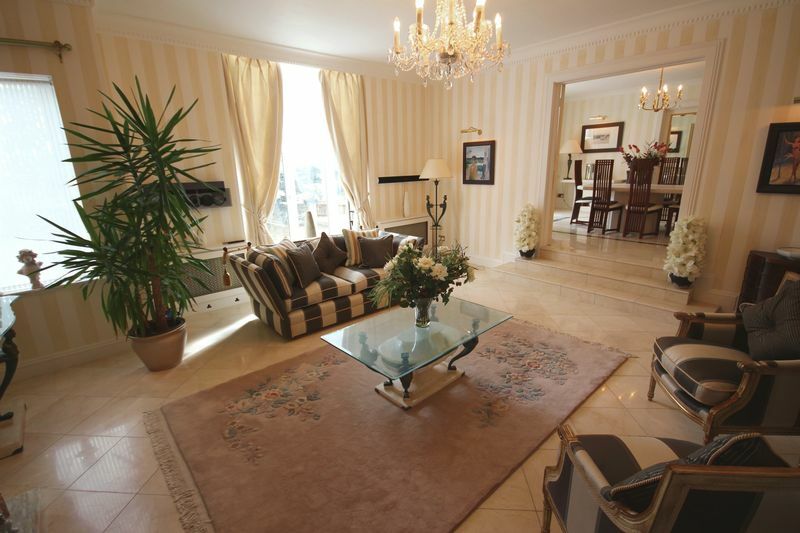 Sets of French doors open to the lounge, dining room and family room/kitchen. Staircase rises to the first floor and a wooden door leads to the downstairs cloakroom. 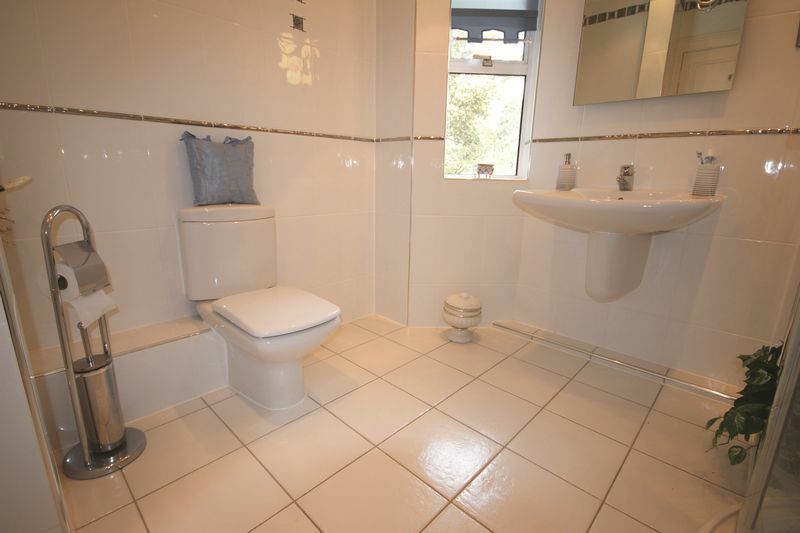 Fitted with a modern white suite comprising of a wash hand basin and a low level W.C. There is an obscure double glazed window to side as well as a radiator with cover. 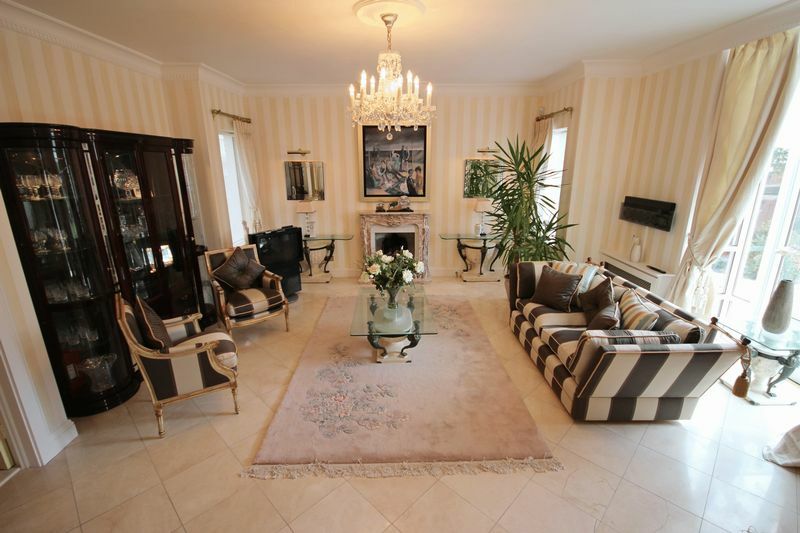 An excellent size lounge with a focal marble fireplace surrounding a gas fire, double glazed windows to sides and a recess with French doors which open to the gardens. 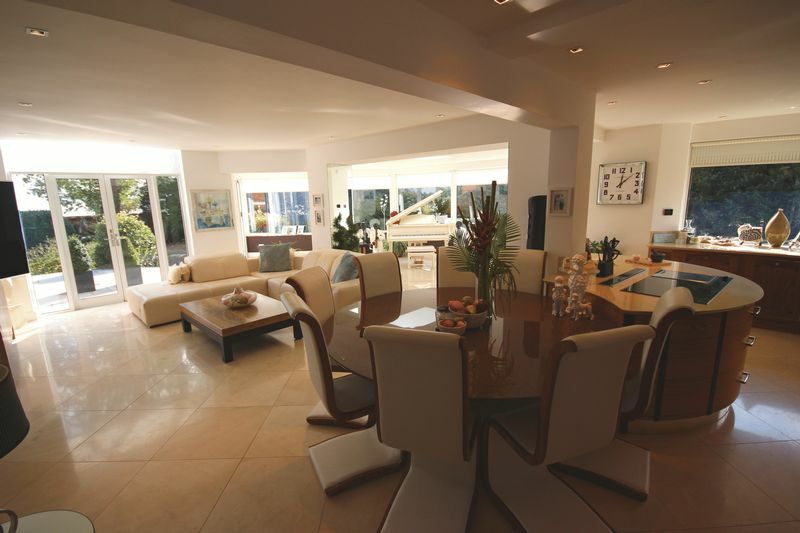 Steps rise to French doors which open to the dining room giving the whole area a real sense of space. 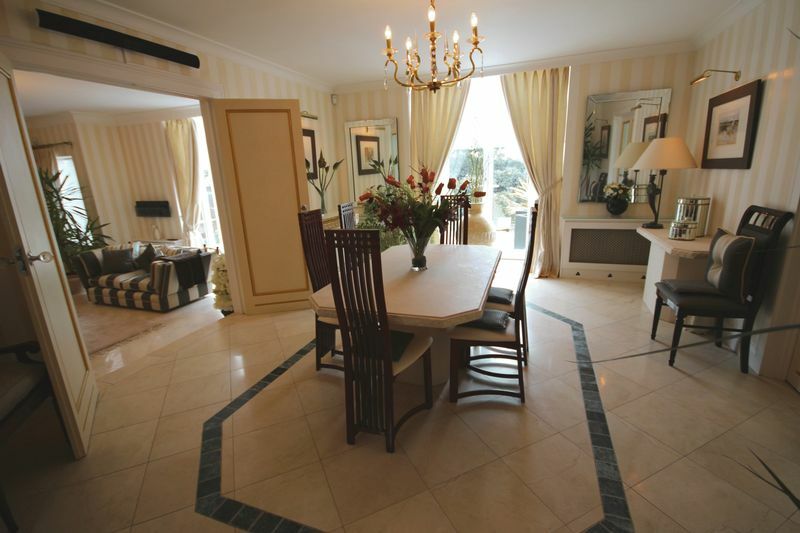 The dining room has French doors that not only open from the lounge but also the hallway and features limestone flooring matching the aforementioned areas. 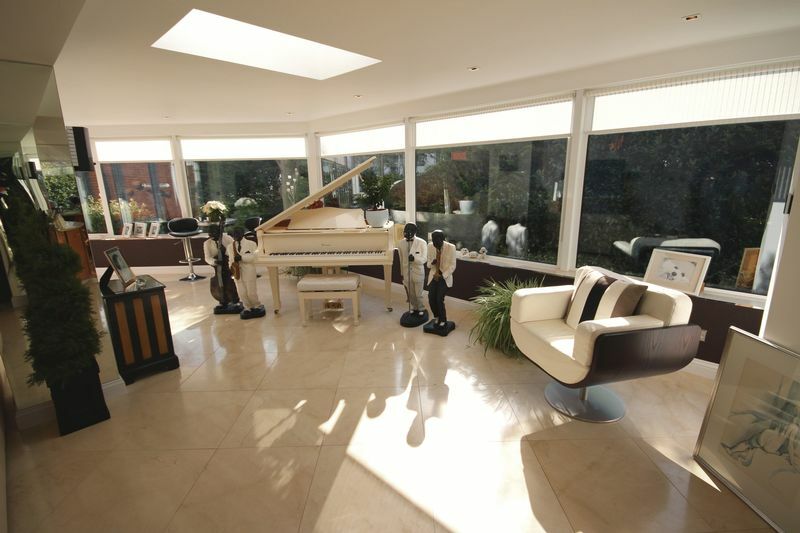 A recess has French doors which open to the gardens the same as the lounge. A further set of French doors open to the hallway. 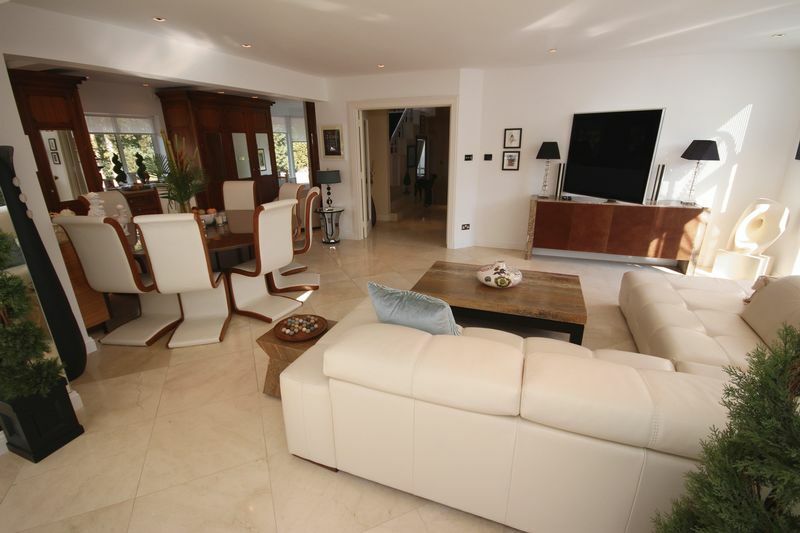 FAMILY ROOM A stunning family area offering versatile living which incorporates the kitchen area. This we believe is the true hub of this home. 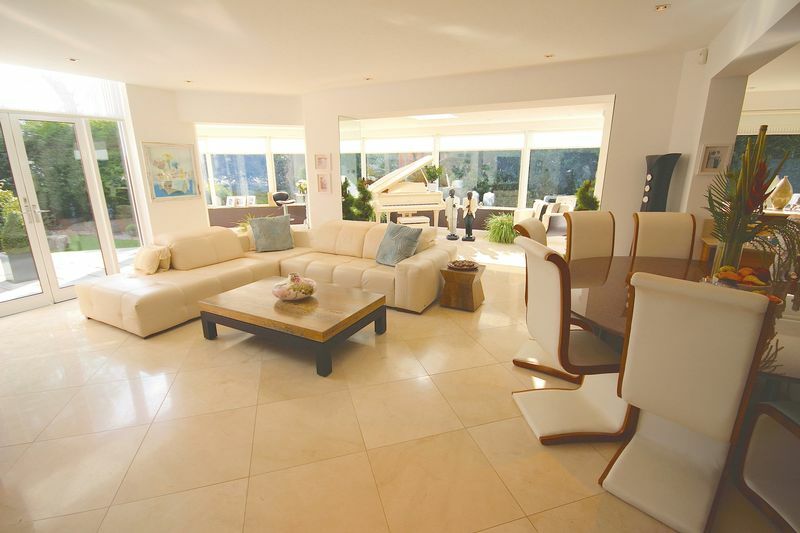 Limestone flooring with underfloor heating continues into this room again matching the other downstairs areas. 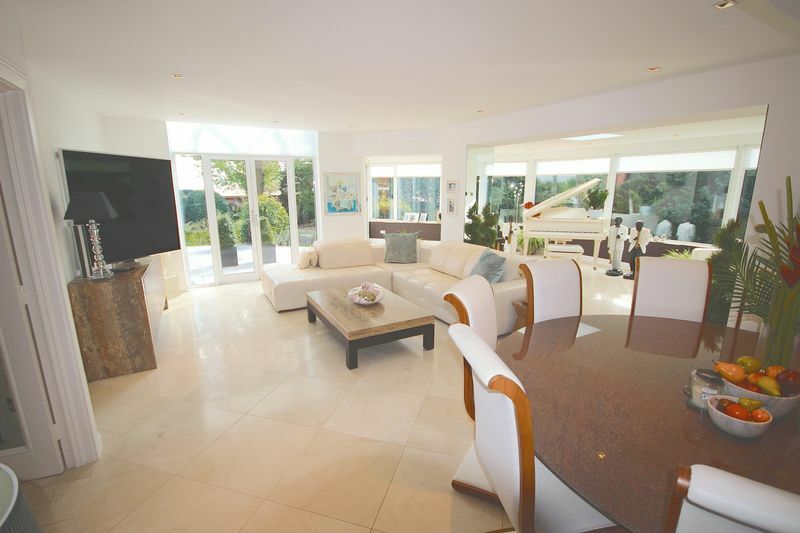 The room itself is very light and spacious and could serve a host of family or entertaining activities giving its composition of double glazed windows to most of the wall space. 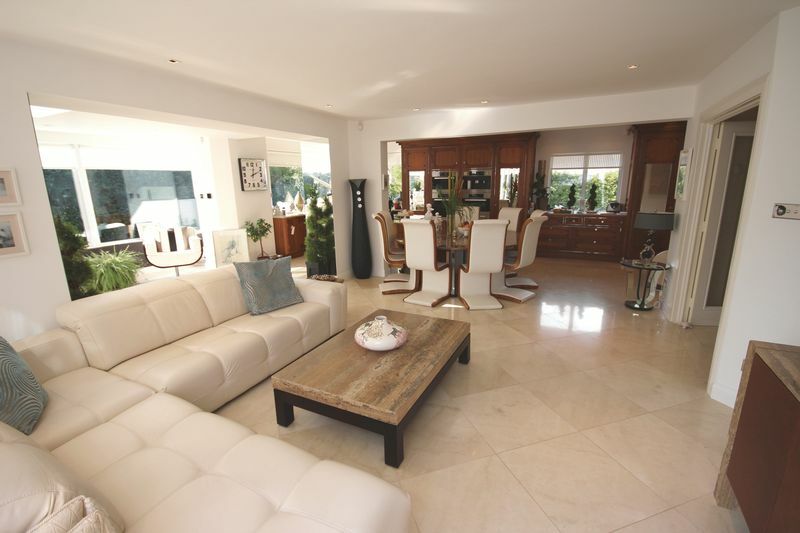 There are sets of Bi Folding & French doors which open to the gardens and patios. A staircase in one corner leads down to the lower ground floor which houses the garage, utility/laundry rooms as well as a further cloakroom. 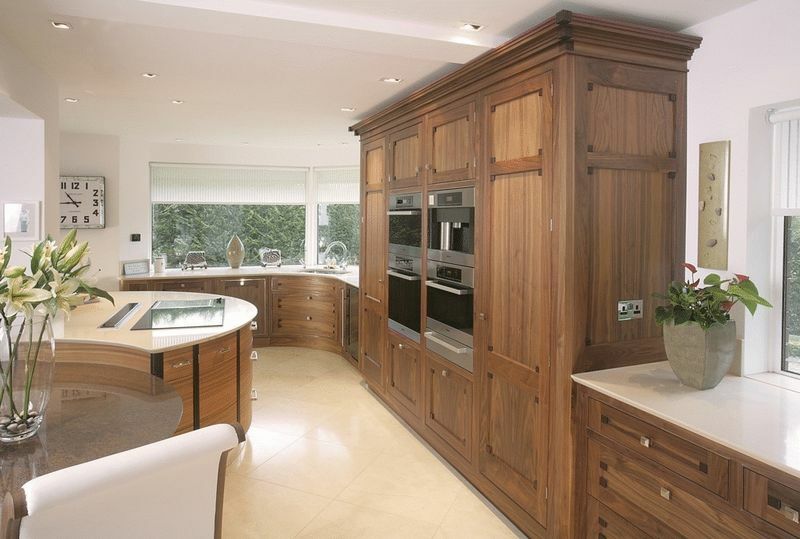 KITCHEN A truly excellent example of a hand built 'Jeremy Davies' kitchen finished in American walnut and Baldeo wood with quartz work surfaces. The kitchen has a one and a half sink and drainer with a 'Quooker' hot water tap. 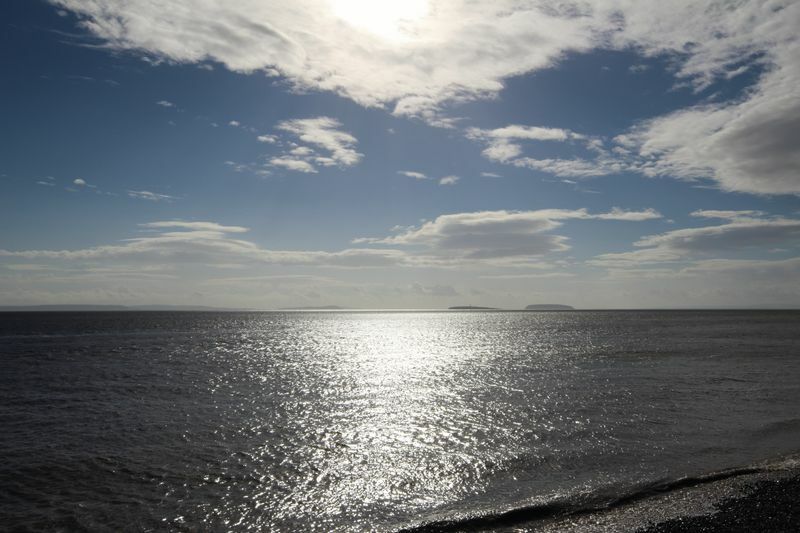 Further high end appliances include a "Miele' electric fan assisted oven, steamer, microwave, coffee machine, plate warmer, fridge, dishwasher & a 'De Dietrich' induction hob with hot plate and extractor. There is also a separate drinks fridge. A circular granite table fitted in conjunction with the kitchen units and able to accommodate eight people for day to day dining. There is also a good size pantry able for additional food storage. 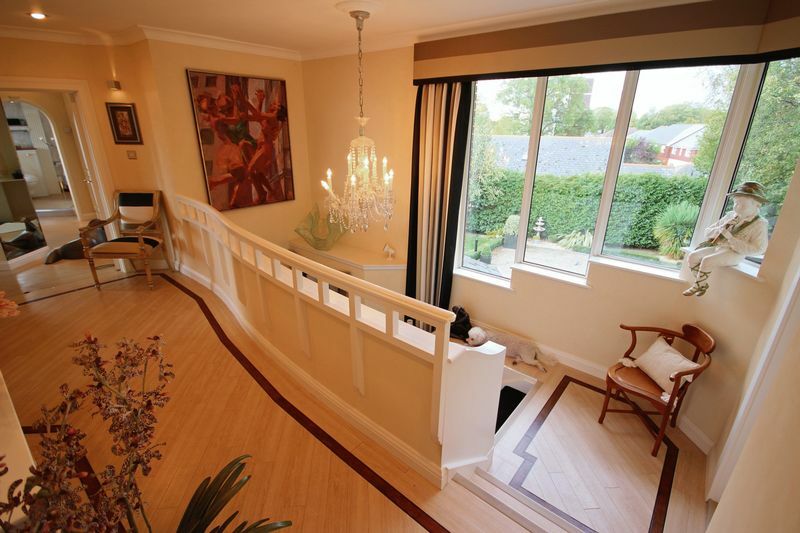 A gallery landing fitted with 'Amtico' flooring and has doors which access the four bedrooms. There is a room which the seller is currently using as a store room, but could be used differently. 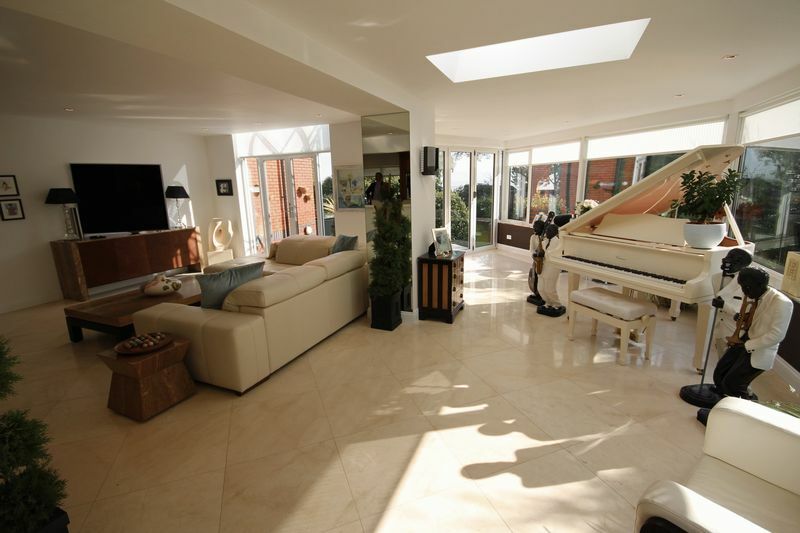 There is a good size double glazed window overlooking the rear gardens allowing plenty of light into the landing area. A door opens to a staircase which rises to the fourth bedroom. 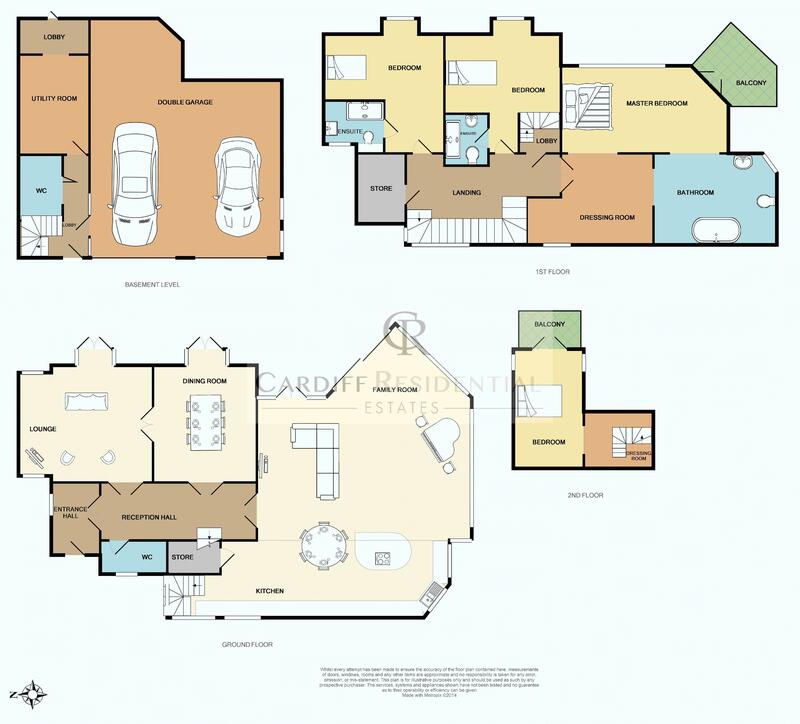 A good size master bedroom with its own dressing area and en-suite bathroom. 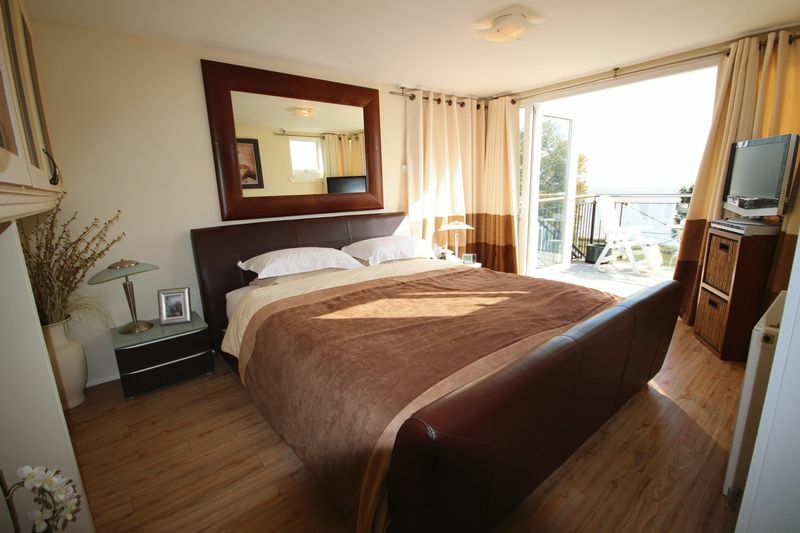 The decor is as you would expect in a property of this stature and includes 'Amtico' flooring throughout The bedroom also boasts its own balcony accessed via a set of French doors and offers views over the Bristol Channel and beyond. 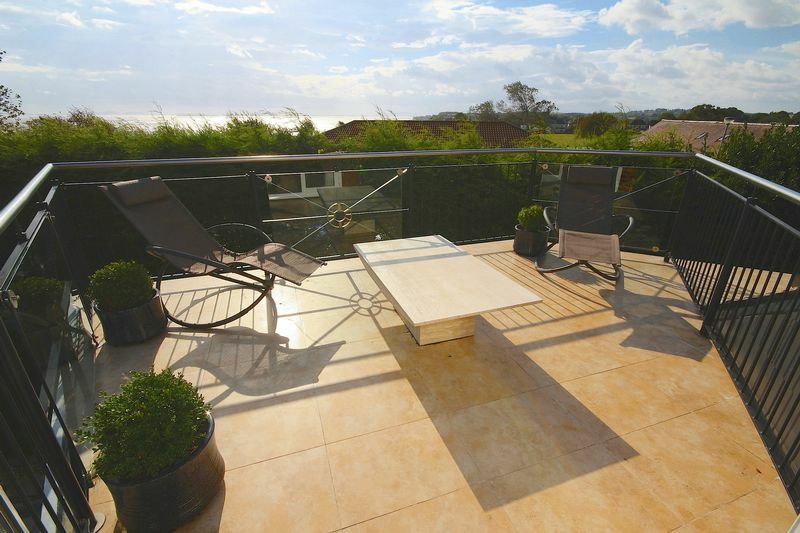 The balcony area os fitted with tiled flooring and a wrought iron hand rail with tempered glass wind breaks and is large enough to easily accommodate sun loungers or a table and chairs, perfect for enjoying your mornings coffee. 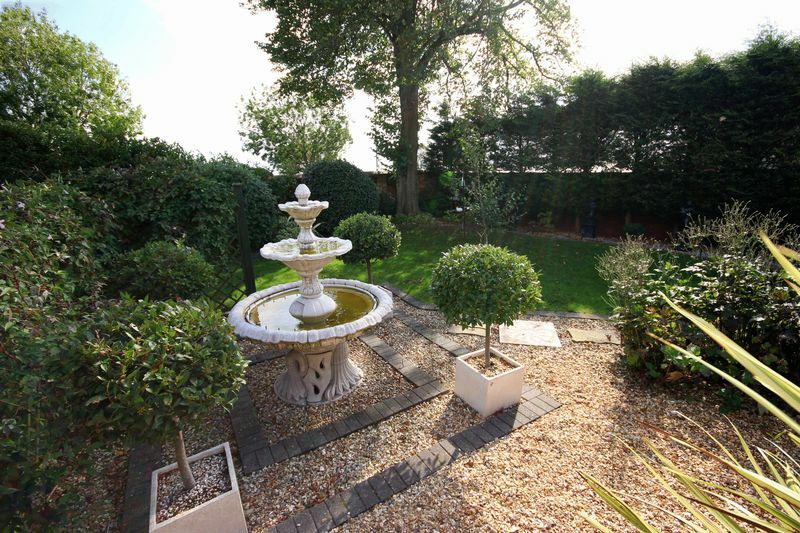 Located just off the bedroom and accessed via the landing this area has a range of fitted wardrobes and mirrors and can also access the en-suite bathroom. Fitted with a luxurious three piece white suite comprising of a good size bath set in a raised, recessed platform with two heated spiral chrome towel rails to either side. A wash hand basin set in a vanity unit with granite tops and storage cupboard underneath. There is an enclosed cistern W.C and the 'Amtico' Flooring which is in the master bedroom and dressing area continues into the en-suite. 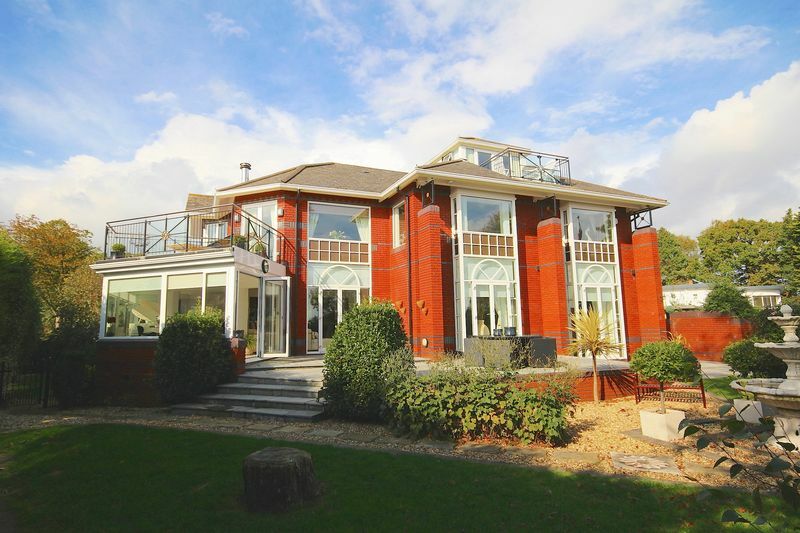 There is also a double glazed window to the side elevation of the property. Double glazed windows to front elevation bay with stunning views over the Bristol Channel and beyond. 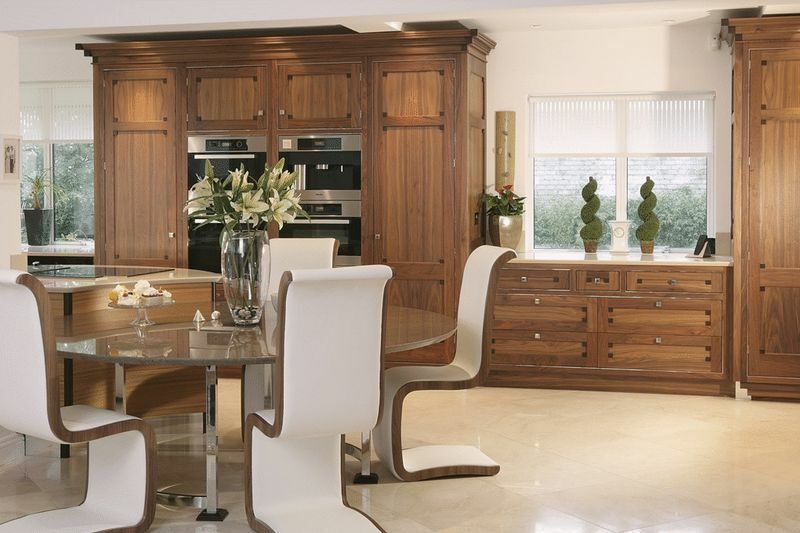 A range of fitted wardrobes with ample hanging space. 'Amtico' flooring. A door leads to its own en-suite shower room. A fitted three piece modern white suite comprising of a walk in shower with glass shower screen, wash hand basin and low level W.C. Ceramic floor and wall tiles. Double glazed window. Double glazed windows to front elevation bay with window seat under and offers stunning views over the Bristol Channel and beyond. 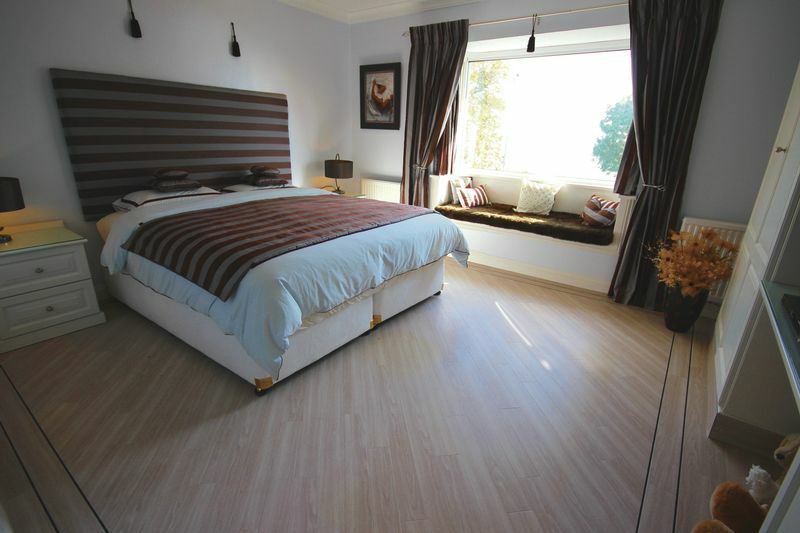 'Amtico' flooring and fitted wardrobes. Fitted with a modern white suite including a wet area for showering with a glass shower screen, wash hand basin and an enclosed cistern W.C. Ceramic floor and wall tiles. Heated chrome towel rail. 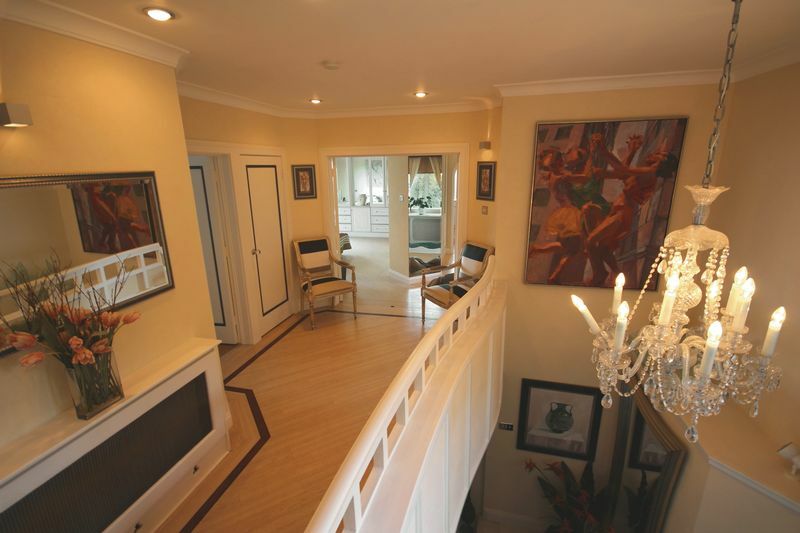 A set of stairs rises from the first floor landing into the landing of the second floor. 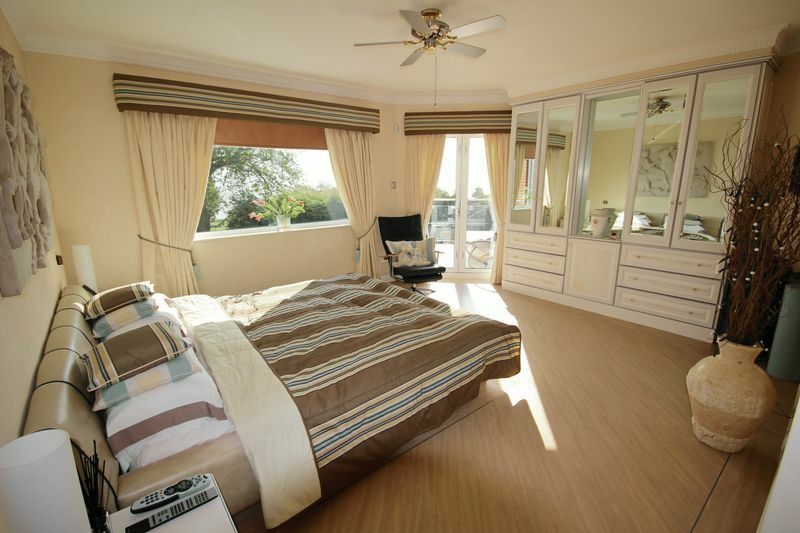 This area is situated just off the fourth bedroom and could be utilised further into an office or another en-suite. 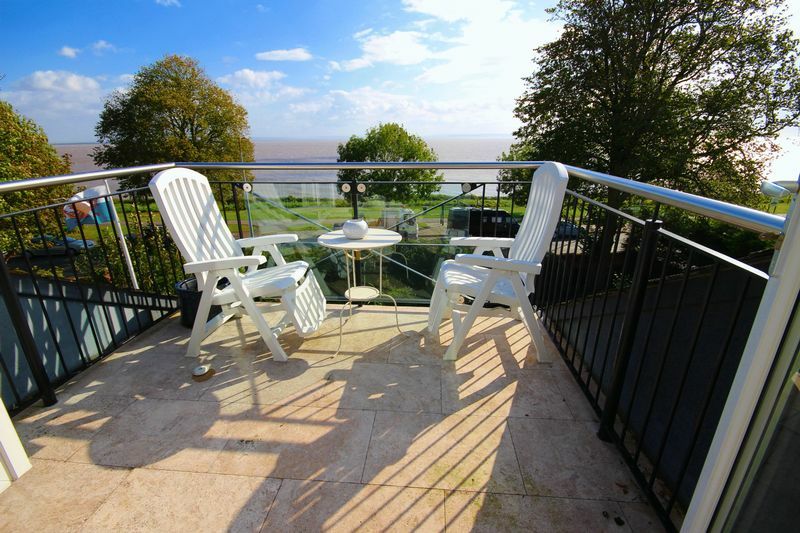 The fourth bedroom located at the top of the property and boasts its very own balcony with tiled flooring and brushed aluminium handrails and offers far reaching views over the Bristol channel and beyond. 'Amtico' flooring. Built in wardrobe. Doors leading to garage parking, cloakroom and utility room. Stairs rising up to the kitchen area. 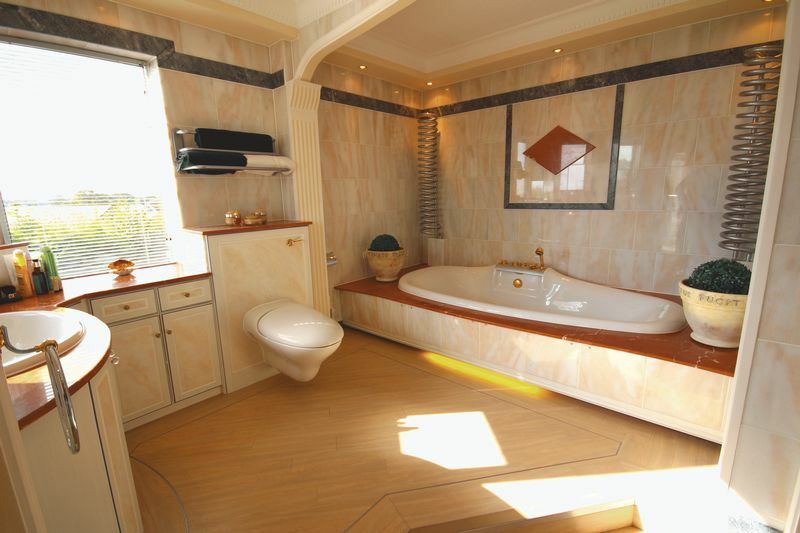 Fitted with a two piece white suite comprising of a low level W.C and pedestal wash hand basin. Tiled flooring. 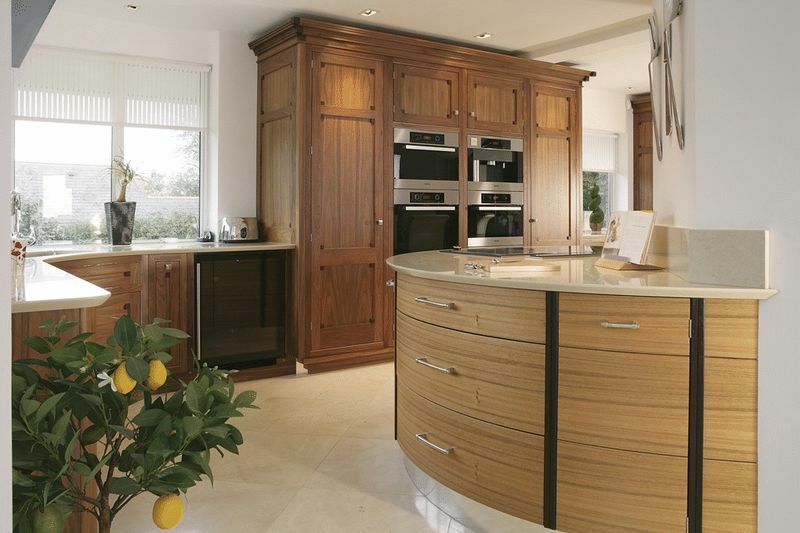 Fitted with a range of wall and base level units with complementary work surface. Sink and drainer. Plumbing for automatic washing machine. Space for tumble dryer. Tiled floor. Floor standing gas fire boiler. A good size double garage accessed via two up and over garage doors operated by passive infra red controls. Comfortably able to accommodated two good size vehicles as well as the usual family items such as bicycles etc. 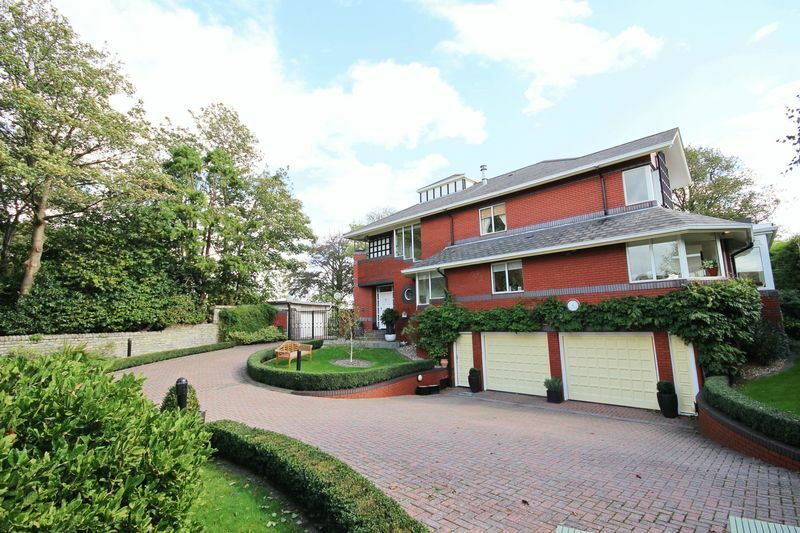 The property is accessed via a set of electric gates which open to a wide driveway with plenty of turning space and ample parking for at least 6 cars. 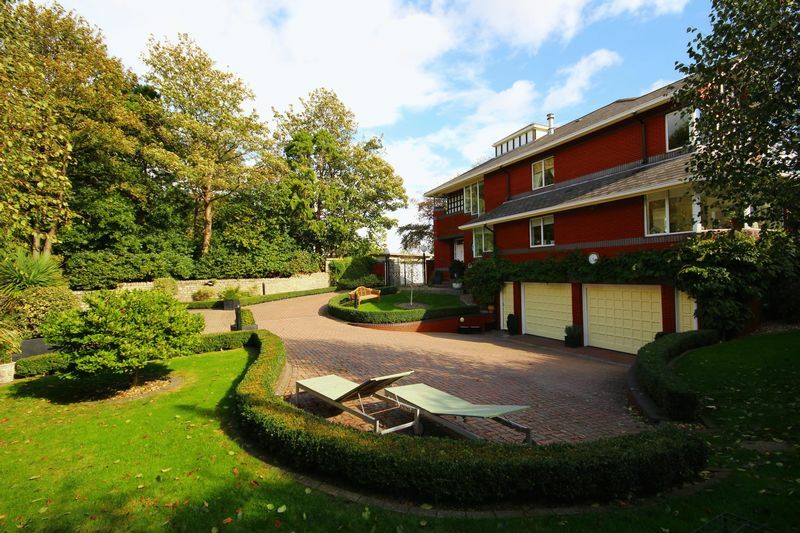 The gardens are extensive and continue around the property and includes areas laid to lawn and numerous patios. 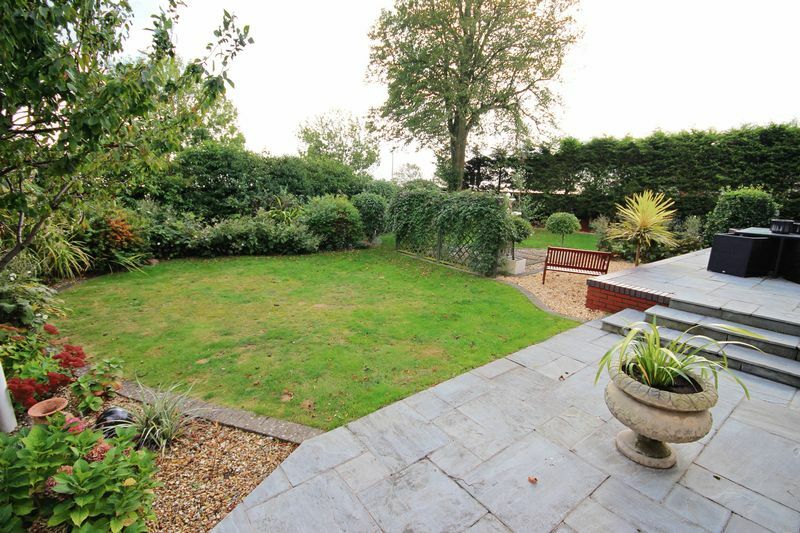 The property has a brick walled boundary and internally has a wide range of trees, plants and mature shrubs.